NEW DELHI: Huawei’s sub-brand Honor appears set to launch its new budget smartphone dubbed Honor 6 Play. The smartphone as it got listed on Chinese certification website, Tenaa. Although the website listing shows the smartphone with the ‘Honor Maya’ moniker, several media reports suggest that the device will be named as Honor 6 Play. 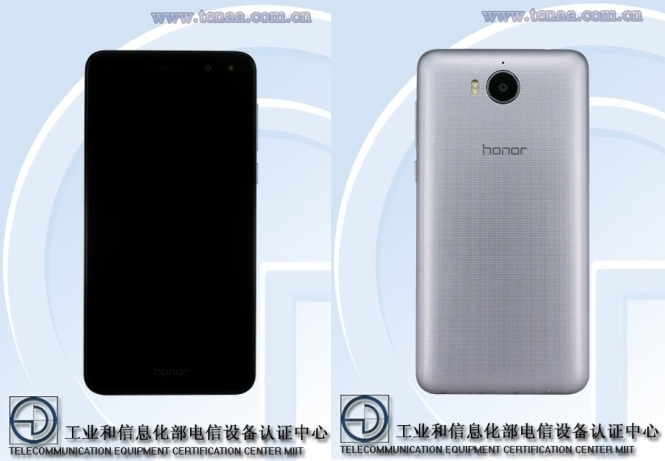 According to TENAA listing, Honor 6 Play has a textured metal back, along with a single rear camera and LED flash. The volume and power buttons can be seen on the right side, while the left side is seen as having another button. On the specifications front, the Honor 6 Play is expected to sport a 5-inch screen with HD display. It will also sport an 8MP rear camera, along with a 5MP front-facing camera. The device will feature 16GB of internal storage which can be expanded up to 128GB via microSD cards. Although the processor model has not been mentioned in the listing, it has been revealed that it will be a quad-core SoC. Running Android 6.0 Marshmallow out-of-the-box, Honor ‘Maya’ is backed up by a 2,920mAh battery. The device will be available in Gold, Grey and White colour variants. For now, Honor is all set to launch its Honor 8 Pro smartphone in India on July 7. Although the company has not mentioned the smartphone’s price in India yet, it has confirmed that it will be exclusivly available on Amazon India’s website. Honor has also joined hands with action camera manufacturer GoPro for the Honor 8 Pro. As part of the association, GoPro’s Quik Mobile video-editing app will come preinstalled on the smartphone. In terms of specifications, the Honor 8 Pro features a 5.7-inch QHD display of 1440×2560 pixel resolution. The hybrid dual-SIM smartphone runs Android 7.0 Nougat operating system, topped with EMUI 5.1 OS layer. It is powered by Huawei’s own Kirin 960 processor, coupled with 6GB of RAM. There’s 64GB of internal storage, which can be further expanded up to 256GB by installing microSD cards. As for the camera, Honor 8 Pro flaunts a dual-rear camera setup with two 12MP modules. The rear camera has f/2.2 aperture, laser autofocus, LED flash and is also capable of recording 4K video. On the front, the device houses an 8MP camera with f/2.0 for video calling and selfies. Honor 8 Pro is backed by a 4,000mAh battery and comes equipped with a fingerprint sensor placed on the rear panel.